We all have that one person in our lives that takes things to extremes. We may call the ‘drama queens!’ Lily Hamilton is a dairy farmer from Livingston, Montana and her drama queen is a calf called Daisy. As part of her duties, Lily has to transfer Daisy from one pen to another. Daisy has a reputation as being sort of stubborn and likes to blow things out of proportion. One day, Lily decided to have her camera ready to catch Daisy’s act on film! She picked the perfect day to show off how ridiculous Daisy behaves. Lily is pulling gently on Daisy’s halter to get her to follow – but Daisy has another idea entirely for how this day will proceed! 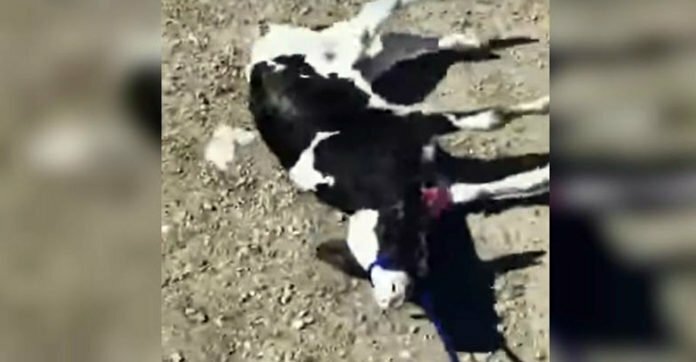 Watch the video below and enjoy a hearty laugh at the silly calf!